The beginning of Jamrach's Menagerie is an arresting one: Jaffy Brown, a small boy in 19th century London, encounters a tiger on the streets of Wapping. Far from being terrified, Jaffy reaches out to touch the tiger's nose and is picked up in its jaws. Rescued by the tiger's owner, exotic animal dealer Charles Jamrach, eight-year-old Jaffy is offered a job helping to care for Jamrach's collection of animals. It's here that Jaffy meets Tim Linver, a slightly older boy with whom he develops a long and complicated friendship full of ambiguities and conflicts. Some years later, when Jamrach sends his animal collector Dan Rymer on a quest to trap him a 'dragon' aboard a whaling ship, Jaffy and Tim decide to take to the sea. Jamrach's Menagerie is packed with colour and atmosphere, and the streets of Victorian Wapping and their docks full of ships bringing exotic people and goods from distant lands are vividly realised, as is the menagerie itself and the sad, captive beasts that live there. It's a little disappointing, then, when it becomes clear that this only forms the setting for a small portion of the book and much of the scene-setting seems infuriatingly redundant when we leap forward to Jaffy's mid-teens and life at sea. That's not to say that the parts of the novel set at sea aren't just as richly described - so richly described, in fact, that it's worth pointing out that this isn't a novel for the squeamish; it's viscerally gruesome in places. It's more just that I found myself feeling slightly duped and the sudden shift in setting does feel a little jarring, a little disjointed. The novel does have the feel, at times, of a series of set-pieces rather than a coherent whole. 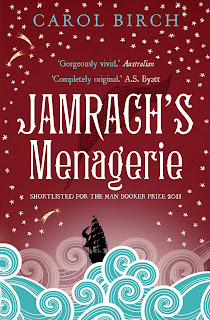 It's difficult to write about the most powerful section of the novel, in which disaster strikes the crew of Jaffy's ship and a number of the sailors find themselves adrift in two of the ship's whaling boats with a limited ration of food and water, without giving away an enormous plot spoiler. Suffice it to say that this section of the book is gripping, shocking and at times disturbing, and, brilliantly written though it is, has a stifling sense of claustrophobia about it as, ravaged by hunger and thirst, the crew endure day after banal, dragging day of suffering. When Jaffy finally returns home to London, effectively already a broken man in his late teens, it's hard not to feel that the final section of the book is somewhat anticlimactic - albeit also touching and convincing. 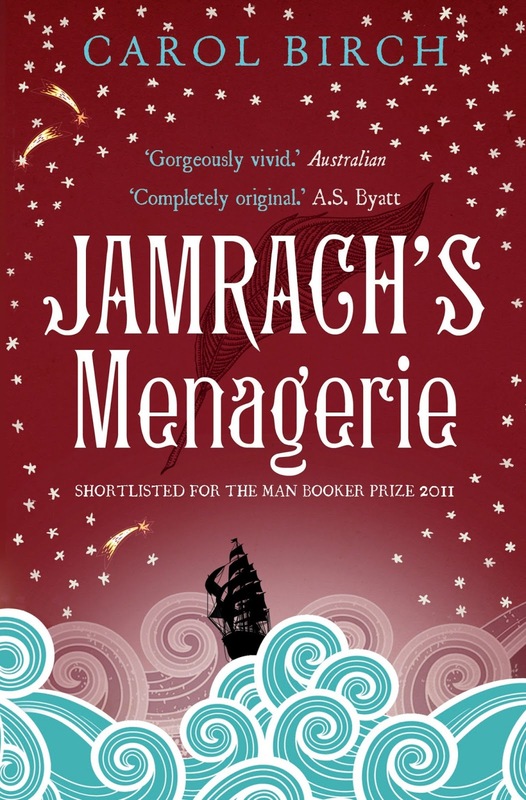 Jamrach's Menagerie is a book I'm glad I've read. I was captivated by the characters, all of whom have their own degree of depth and complexity, the settings and Carol Birch's dazzling prose - there are parts of this book that truly are stunning. But I still haven't quite decided whether, as a whole, it exceeds the sum of its parts.